Calling all photographers: TGPAS has a committee working on a project that needs your help. 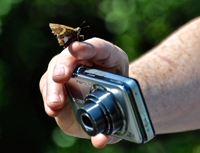 We are designing a postcard to be sent to new members and need your photos of wildlife subjects. We plan to use three to five photos in addition to the TGPAS logo in a collage of wildlife images. Although the shapes and sizes of the individual photographs may vary, all will be small in order to fit on the postcard that will be about 4x6 inches. The individual photos must to be clear, sharp close-ups of some nature subject. What sub jects? That’s up to you! We will consider Audubon members’ photos of just about any natural subject that occurs in the Triad. Use your imagination and creativity…birds, butterflies, mammals, wildflowers and anything else that will be eye-catching, pleasing and identifiable in a small photo. Remember that we will be using the postcard to welcome new and/or potential members, so we want the photos to present a positive representation of our chapter’s interest in wildlife. We hope to have a draft of the postcard design completed by the end of March for the TGPAS board to consider, so select several of your best nature photos and send them right away to the committee chair, Dennis Burnette, deburnette@triad.rr.com. We’re looking forward to seeing them! If you want to work to support more resilient bird populations, making real and lasting change, become an Audubon Ambassador. A free training session will be held from 8 a.m. to 2 p.m. Saturday, March 11, Bur-Mil Park Clubhouse, 5834 Bur-Mil Club Road, Greensboro. All events are free. Lunch will be provided. Registration is required. Audubon has created meaningful, easy actions to help you protect birds. Learn how to have conversations with your friends and community about how climate change affects birds. TGPAS and Piedmont Bird Club jointly have been presenting a series of workshops for beginning birders this year. The next workshop in the series is scheduled from 2:30-4:30, Sunday, March 26, at the KCE Family Branch Library, Price Park, in Greensboro. Dennis Burnette, a retired college professor, a nature educator, and an amateur wildlife photographer, is the presenter. Dennis is past president of T. Gilbert Pearson Audubon Society and a current member of the TGPAS board, past president of Piedmont Bird Club, and a past vice president of the Carolina Bird Club. The topic of each of these workshops is different. Each stands alone, meaning that a participant may attend one or all and receive different material each time. The workshops include a 45-minute classroom presentation and discussion followed by 45 minutes of practicing skills outdoors. In addition to members of TGPAS and Piedmont Bird Club, the general public is welcome to participate, including older kids who are accompanied by an adult. (We can’t provide baby-sitting services.) This will be a perfect workshop for beginners as well as more experienced birders who would like to sharpen their skills. No registration is necessary. 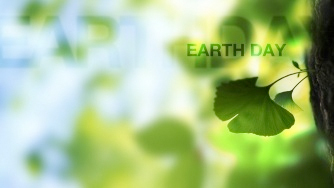 A great day is in store for us at the annual celebration of EARTH DAY from 1-5 p.m. Saturday, April 1, at our KCE Family Library. Children of all ages can enjoy a variety of activities. A hayride will transport you from the Jefferson School parking lot to the library where many tables will be set up with wonderful things to see, do, and make. Our T. Gilbert Pearson Audubon Chapter will have games and displays to challenge your knowledge of birds and give you ideas for bringing wildlife to your yard and helping them to survive in our urban environment. Stop by and say hello. In case of rain we will still have a great day indoors. If you would like to volunteer at our table, please send an email to Sue Cole at mailto:suelyle@bellsouth.net. 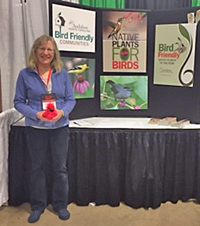 TGPAS members Sue Cole, Sarah Gilley, Barbara Hughes, Jack Jezorek, Lynn Moseley, Ann Walter-Fromson, Stella Wear, and Tom Wear, along with Forsyth Audubon members Kim Brand, Elnora Gore and Don Lendle, participated in the Audubon booth at the Annual Green & Growin’ Show. The NC Nursery and Landscape Association’s trade show was held in Greensboro January 19-20, 2017. 63 people signed up with email. A cool 87% of those are NEW to Audubon and altogether they came from 51 different zip codes! We contributed 28.75 volunteer hours, worth $625 in matching contributions on a grant. Special recognition goes to Sarah Gilley for setting up the booth beautifully and to Jack Jezorek for breaking down the booth and taking the materials home. TGPAS members helped with planting at Innovation Cornerstone on Feb. 25. The plants donated by TGPAS and Native Plant Society were brought from the A&T State University cold frames where they were placed for the winter to harden off. It’s time for the Brown-headed Nuthatches to start their nest building. Please check the BHNU houses you have installed to make sure you are ready for these special tenants. Remember to report any news you have about your boxes to TGPAS (stellaandtom2605@gmail.com ). Another bird of interest is the Audubon NC bird of 2016, the Chimney Swift. (See article below.) Chimney Swifts are in North Carolina from late March through October. You can help by locating chimneys that are possible roosting sites and reporting these sites to TGPAS. The Chimney Swift Team will be meeting soon to prepare for these guests. If you are interested in helping the team, contact Stella Wear at stellaandtom2605@gmail.com . Are you handy with a saw and hammer or know someone who is? 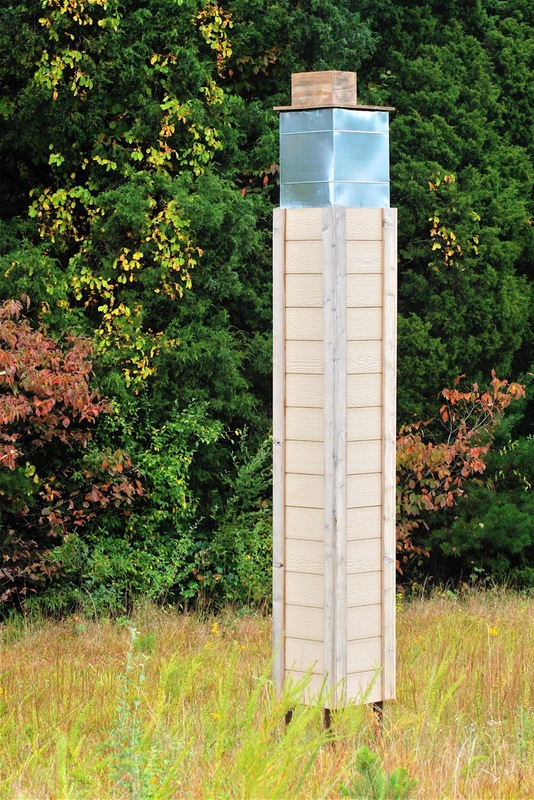 TGPAS is looking for one or more people who can help build and install a Chimney Swift nesting/roosting tower. Chimney Swifts are well adapted to roosting and nesting in large hollow trees. With urbanization and changing forest management practices, the natural roosting sites have been disappearing at an increasing rate. Chimney Swifts have been adaptable, though, and began using human-built chimneys almost as soon as colonization of the New World began. That's why they have “chimney” in their name. Now populations of this species are decreasing steeply as large chimneys are being capped or removed. Chimney Swifts declined 53 percent between 1966 and 2007 in the United States. This is where TGPAS comes in. We are putting together a Chimney Swift Team, and we would like for as many of our members as possible to get involved. You’ll be hearing more about locating and saving existing chimney roosts later this year as the migratory Chimney Swifts return to the Triad. In the meantime, our focus is on building a roosting and nesting tower for these birds. We are looking for members and friends who will help us build a tower (sort of like a tall bluebird nest box) on the grounds of the Piedmont Environmental Center (PEC) in Guilford County. This location will be great because we can put up signage that explains the life history and plight of Chimney Swifts to PEC visitors while helping the birds themselves. TGPAS has bought plans for the Chimney Swift tower and will pay for all the materials and supplies necessary to build and install it. If necessary, we also may be able to pay a small stipend if we have to hire a professional contractor. Would you like to be involved in building the Chimney Swift nesting/roosting tower? Do you have a family member or friend who is a contractor who might be interested in this project? Contact Dennis Burnette at mailto:deburnette@triad.rr.com, who is coordinating the tower project. For the first time this year, snow did not deter our Second Sunday Walk at Reedy Fork Trail between Lake Brant Road and North Church Street. Twenty souls ventured into the forest on Sunday, Feb. 12, 2017, including two Wear grandchildren and two of their friends. These kids blazed the trail and left the main group of participants in their dust. The rest of us enjoyed forest views unfettered by those troublesome leaves and the silence of nature. Very few birds were busy although the weather was warm and sunny. It was also a bit early for blooming wildflowers, including the Crain fly orchids that were there in abundance. Several colorful fungi were discovered, noted, and photographed for positive identification later. Altogether, it was a wonderful day for a walk along one of the many beautiful trails available to the citizens of Greensboro. No astounding discoveries were made, but all participants received beneficial exercise in a beautiful wooded environment with the excitement of discovery at each bend of the trail. We hope you will join us next month on our Second Sunday Nature Walk. Birdwatchers (aka citizen scientists!) contribute millions of observations each month on the diversity, and abundance of bird species throughout North America and around the world. These data have allowed scientists an unprecedented understanding of geographic and seasonal patterns of movement and distribution of birds. One of the environmental challenges facing migratory birds in particular is a shift in the seasonal timing of spring and the pulse of arthropod food resources that birds depend on for successfully raising their young. However, there is little information about the availability and seasonal timing of bird food, especially over broad geographic scales. 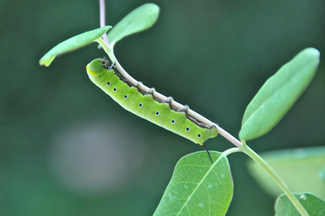 In this talk Dr. Hurlbert will introduce a new citizen science project called Caterpillars Count! that aims to enlist interested participants in characterizing the seasonal timing of food availability for foliage gleaning birds. He will describe how to participate, and summarize results found to date based on data collection in central North Carolina. Please join us as we explore the Audubon Natural Area on Sunday, March 12. We'll take a leisurely stroll around the quarter-mile Hillmer Nature Trail. We'll look and listen for a variety of birds that frequent the area. Recently, a pair of Red-shouldered Hawks and a single Red-tailed hawk were all noisily cruising the air space above the area. We'll view and discuss plants, both native and invasive. We'll also walk the open meadow area and edges toward the front of the property, and see what might be growing or moving about. In addition to critter activity, we'll also discuss current activity at the site, both present and planned, by the elusive "Auduboner." "Natural" doesn't mean "unmanaged" in this case. Efforts are ongoing to keep the site clean and natural, increase its accessibility, and to making it more of a learning experience for visitors. The Audubon Natural Area is located along Tankersley Drive behind Cone Hospital, between Elm and Church streets. Parking is available by jumping the curb and parking in the mowed area at the entrance, or by parking at the bank at the corner of Tankersley and Church streets and walking in from there. As usual, we'll meet at 1:45 for a 2 p.m. departure from the Whole Foods parking lot along Friendly Avenue (beneath the Sears sign that faces Friendly Avenue near BB&T). We'll spend an hour or two at the area. And as always, let's carpool from there. You can preview the Second Sunday Nature Walk at the Audubon Natural Area and do some good for the trail there, too, by joining us for an hour or two beginning at 2 p.m. Saturday, March 4, as we do a little spring trail maintenance on the Tom Hillmer Memorial Nature Trail. We need to widen a couple of areas on the back portion of the trail where growth has gradually encroached. This will allow us to maintain the width of the trail with a mower for the rest of the growing season. Sturdy shoes, gloves, and tick repellent are advised. Bring loppers, choppers, saws, scythes, machetes, samuri swords; whatever you got. Safari hats optional. We'll meet at the Audubon Natural Area on Tankersly Drive, behind Cone Hospital. You may jump the curb and park in the grass, or park at the bank at Church and Tankersley and walk the half block from there. Naturalist Ann Walter-Fromson will be leading a series of Wednesday morning wildflower walks at area parks, preserves, and watershed trails again this year. You’re welcome to join in for any or all of these walks. Our first walk will be held March 15 at Northeast Park. We will start on the Buffalo Creek Trail in search of Trout Lily and Spring Beauty, return to the Low Water Crossing area, then head a short way along the Reedy Overlook Trail to look for wildflowers in the bottomland forest. This will entail about 3 miles of walking; Buffalo Creek Trail is moderately hilly. On March 29 we will walk on the western end of Townsend Trail. We will begin at the Yanceyville Street trailhead and walk about a mile east, looking for Bloodroot and Hepatica. Be prepared for about 2.5 miles of walking on a moderately hilly trail. Participants should wear sturdy, closed-toe walking shoes as trails may be muddy or slippery in places, and many have exposed roots. Close-focus binoculars and a wildflower field guide would be helpful to have with you, as well as a walking stick, insect repellant (if the weather is warm), a camera, water, and a snack. No pets, please. We will meet for each trip at 9:30 a.m. in the Whole Foods parking lot at the end closest to Friendly Avenue between BB&T and Chick-fil-A. Those who wish may carpool to our field trip site. We expect to return between 12:30 and 1 p.m., depending on the trip location. Please contact the trip leader at annwf7@gmail.com if you are meeting us at the trail site instead of at Friendly Shopping Center. Mark your calendars for additional wildflower walks on April 5, 12, 19, and 26. Be sure to check next month’s Nature Notes for information about our destinations for these walks. And Another Great Opportunity at the ANA! Come one! Come all! 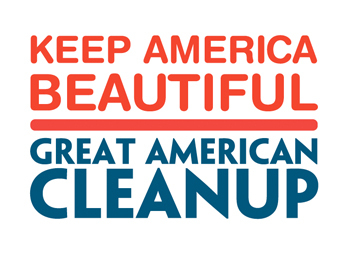 If you've run out of things to clean at home, or, if you'd just like a warm up for spring cleaning, please join us for the Great American Clean Up at the Audubon Natural Area on April 1 at 9:30 a.m.
You'll be joining other like-minded folks from Audubon and the community to spruce up the area. We'll head off in small groups to divide and conquer different sections of the area. Trash bags will be provided. Wear sturdy gloves and shoes, and use tick repellent liberally. You will also find long-handled trash grabbers or a broom handle/stick with a nail great for picking up items without having to bend over very far. Stay as long as you like, but you will not be "supervised" beyond 11:30. We'll try to wrap things up by then so that we can transport our haul and score some free pizza and water at the city’s gathering place. Jim Eldrett, Audubon Natural Area steward, will also have cold water available at the site. Much appreciated would be someone with a pickup to haul the treasure to the central collecting area. Many hands always make light work. If you have any specific questions or concerns, feel free to contact Jim directly at jimeldrett@gmail.com. Otherwise, RSVP not required; we'll see you there. A City of Greensboro Parks & Recreation crew has bush-hogged much of the meadow portion of our chapter’s Audubon Natural Area (ANA). Jim Eldrett, the volunteer ANA steward for TGPAS, was on hand to guide the crew. At about the same time, TGPAS member Deborah Staves continued working in the adjacent ANA wooded area to install small signs to identify trees and other plants. All of this activity is part of an on-going commitment of our chapter to be good stewards of this 11-acre natural oasis in the midst of suburban Greensboro. Although the ANA is an official City park, it is on land owned by the Cone Health system and is part of the Moses H. Cone Memorial Hospital campus. The City of Greensboro leased the site from Cone as a "natural park" for 99 years. TGPAS subsequently entered into an open-ended management agreement with the city in the late 1970s to be the steward of this “natural” city park. It is located on the north side of Tankersley Drive between North Elm and Church streets behind the hospital. High-voltage power lines and North Buffalo Creek traverse the site. Both meadows and woodlands are found here. TGPAS has built short walking trails, installed several benches, put up bird nesting boxes, and planted native wildflowers in the ANA. During the growing season our chapter mows the Tom Hillmer Trail and the Meadow Path, trims back branches and blackberry bushes, and controls poison ivy. We also hold occasional trail maintenance days when we outline the trails with fallen limbs. Twice a year we do street and stream clean ups to remove trash. We had an invasive plant removal session last fall and plan another this spring. Much of this we can handle ourselves. However, the recent discovery of Kudzu and Oriental bitterseweet vines may require us to hire a professional to get ahead of these noxious invasive plants. 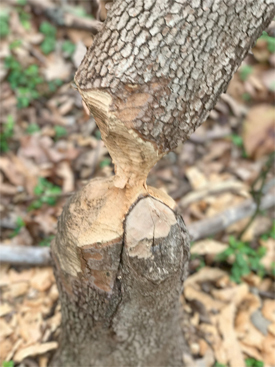 We work closely with Greensboro Parks & Recreation and Field Operations Departments when maintenance beyond our capability is needed, such as the bush-hogging of the meadow near the entrance which occurred in February. From time to time our chapter uses the ANA for birding field trips and as a site for workshops on plant identification. We understand that an extension of the North Buffalo Creek Greenway is planned to run through the ANA within the next few years. We hope that the Greenway will bring more extensive use of our natural park and allow us to do more environmental education there. In the meantime, we will continue our stewardship efforts to make the Audubon Natural Area a great place to visit. We had a fun field trip on Saturday, Jan. 28, on our winter waterfowl search. It was a cold but sunny morning under a Carolina blue sky. 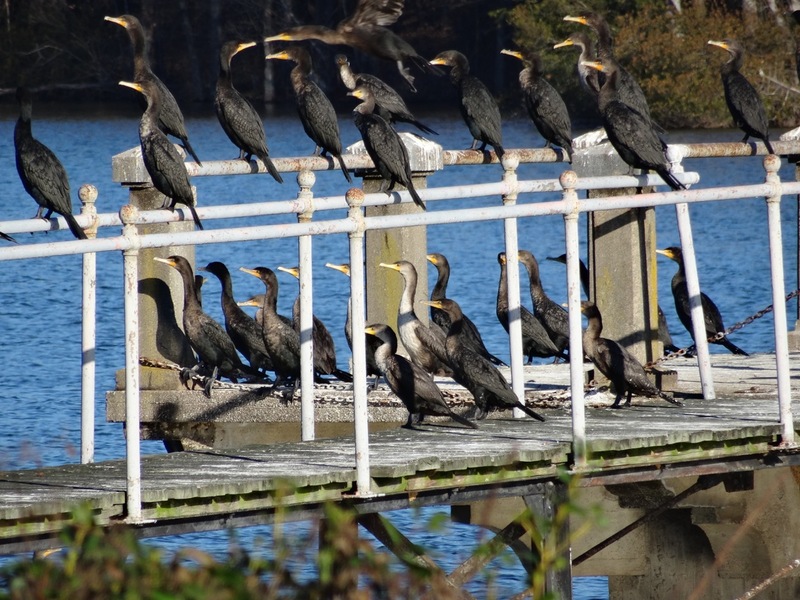 Our first stop was at the dam end of Buffalo Lake on St. Jude Street just off East Cone Boulevard where we saw a huge conglomeration of mostly Double-crested Cormorants and Ring-billed Gulls perched on a pier-like structure behind the old, closed restaurant. The birds were so close that even before setting up some scopes, we got good views of the plumage variations. Ducks were scarce here, however, with only a Ruddy Duck close enough for us to watch. We also saw a Great Blue Heron on the north shore and a few Canada Geese, both species of which we would see several times later. Throughout the morning we made stops at lake and marsh overlooks for Lake Brandt, Lake Townsend, and some smaller bodies of water along Church Street, Plainfield Road, Yanceyville Street, Doggett Road, Lake Brandt Road, and Trosper Road. At one spot along the way we pulled over to watch a cleanup crew of half a dozen Black Vultures working on an unidentified “road pancake.” It would be hard to get better close up views of this species. On our return through the same intersection later, the number of vultures had doubled, and they had managed to pull their meal off the road so that they weren’t as disturbed by passing traffic. In general, waterfowl were rather sparse. Several folks speculated that perhaps winter weather further north of us hasn't been harsh enough to push migratory species this far south. Surprisingly, the largest number of birds we saw in the waterfowl category in most of the open water areas were Pied-billed Grebes. Several people especially wanted to see Wood Ducks. We finally found some in the Plainfield Road marsh, along with a few Northern Shovelers. We were happy to see a Red-headed Woodpecker while we were watching the ducks. In fact, we saw quite a few common winter land-bird species as we paused at the various stops. We finished the waterfowl tour at Trosper Pond. Not only did we see a large number of waterfowl here, but we got to do some positive public relations for birders with two different nearby residents who stopped to visit with us. They were interested in what we were seeing on their pond. We assured them that we were trying to stay out of the way of traffic and be good stewards by not trespassing, and they both indicated that we were welcome in their neighborhood. In Trosper Pond we saw Hooded Mergansers and Buffleheads among the Mallards, Canada Geese, and introduced European Mute Swans and Muscovy Ducks. The best duck sighting on Trosper Pond, however, was a pair male and female American Black Ducks (plus a single) associating with the resident Mallards, which gave us several opportunities to compare plumage and sharpen our identification skills. 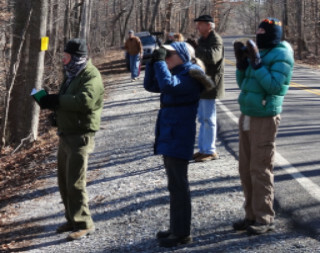 We had a great group of congenial folks on this beautiful winter morning of fun birding. National Audubon has great ways for you and others to create gardens that help birds thrive throughout North Carolina and beyond. Please check out this list and share anything you like. 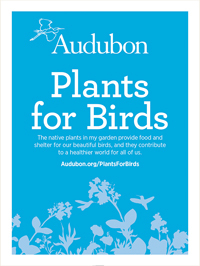 This is a great place to start, because when you enter your zip code you will see a list of plants and info on your local Audubon chapter and what native-plant services we provide. Reach out with any questions, and on behalf of the birds, thank you! National Audubon Native Plant Content –Error! Hyperlink reference not valid.